David Klein is a researcher in Research Domain III - Sustainable Solutions. His research focuses on the assessment of land-based mitigation options, in particular the deployment of bioenergy for climate change mitigation. 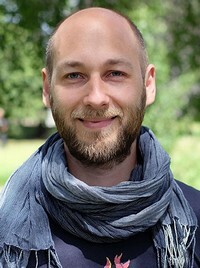 His recent work has examined the global economic long-term potential of modern biomass. He is member of the Research Software Engineering Group, the Global Energy Systems Group and the Landuse group. He studied Energy Engineering at the Technical University of Berlin. Before joining PIK in December 2008, he worked as developer of simulation software for solar cooling systems at Valentin Energiesoftware. Dietrich, J. P., Bodirsky, B. L., Humpenöder, F., Weindl, I., Stevanović, M., Karstens, K., Kreidenweis, U., Wang, X., Mishra, A., Klein, D., Ambrósio, G., Araujo, E., Yalew, A. W., Baumstark, L., Wirth, S., Giannousakis, A., Beier, F., Chen, D. M.-C., Lotze-Campen, H., and Popp, A. (2019): MAgPIE 4 – a modular open-source framework for modeling global land systems, Geosci. Model Dev., 12, 1299-1317, https://doi.org/10.5194/gmd-12-1299-2019. Gidden, M. J., Riahi, K., Smith, S. J., Fujimori, S., Luderer, G., Kriegler, E., van Vuuren, D. P., van den Berg, M., Feng, L., Klein, D., Calvin, K., Doelman, J. C., Frank, S., Fricko, O., Harmsen, M., Hasegawa, T., Havlik, P., Hilaire, J., Hoesly, R., Horing, J., Popp, A., Stehfest, E., and Takahashi, K.: Global emissions pathways under different socioeconomic scenarios for use in CMIP6: a dataset of harmonized emissions trajectories through the end of the century, Geosci. Model Dev., 12, 1443-1475, https://doi.org/10.5194/gmd-12-1443-2019, 2019. Klein, D. (2014) "Bioenergy markets in a climate-constrained world". PhD thesis. Technische Universität Berlin. Klein, D. (2007) "Modellierung und Simulation einer fernwärmegestützten Gebäudekühlung mit Absorptionskälteanlage". Diploma thesis. Institut für Energietechnik, Technische Universität Berlin.